Victorian Dress: When you picture the era between the 1830s and 1900s the first image that pops up is that of a lady wearing a voluminous ball gown and neatly made hair accessorized with a hat or a flower. Well, that was the fashion trend during the Victorian era. Their dress styles imitate their lifestyle. 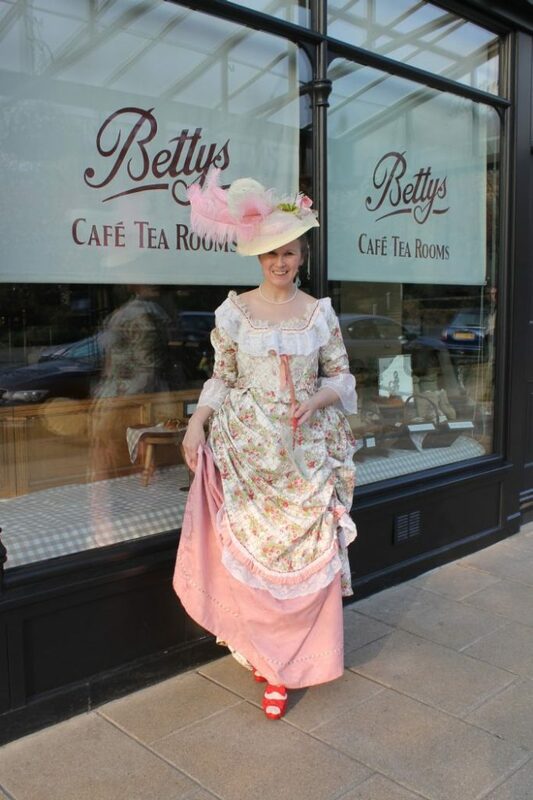 A woman dressed like the Victorian times. A voluminous skirt with blouse and headgear. Victorian fashion was not intended to be utilitarian. Almost all aspects of life showed differences among various classes and Clothes were one of them. They expressed a women’s place in society. Upper-class women, who did not need to work, often wore a tightly laced corset over a bodice and paired them with a skirt which was highly embroidered and often wore layers of petticoats beneath. Whereas the Middle-class women wore a similar dress but with either no or very cheap embroidery. For men, high-waisted pants paired with a dress shirt, vest, cravat tie, top hat, and boots were essential. And to give them a finer look as that of a gentleman, a morning coat, gloves, spats and pocket watch was added to the dress. The garments were very heavy due to many layers of fabric. The most important piece of Victorian-dress for women was the Corset which was stiff and restricted the movement. Although the clothes were not comfortable, the type of fabrics and the in-numerous layers were worn as a symbol of wealth. 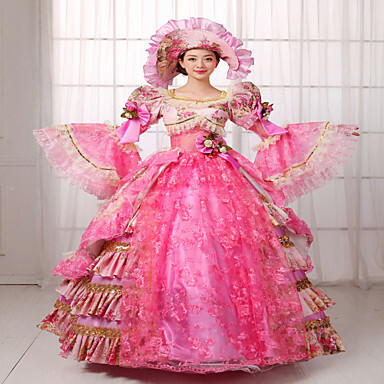 For women, a full-skirted dress or separate skirt and blouse combination is the beginning of Victorian costume. Women also accessorized themselves with items such as a bonnet hat, shawl or capelet, lace-up boots, long gloves and heavy jewelry. simple and elegant Victorian outdoor dress. Throughout the Victorian era, fashion changed dramatically. Skirts went from straight to being spread over large hoops. The change in silhouette over the years was with the type of skirt. Very large round skirts of the 1860’s (Civil War) embraced the early years while the narrower A-line skirts of the late 1890’s to 1910’s were in full fashion during the Edwardian era. 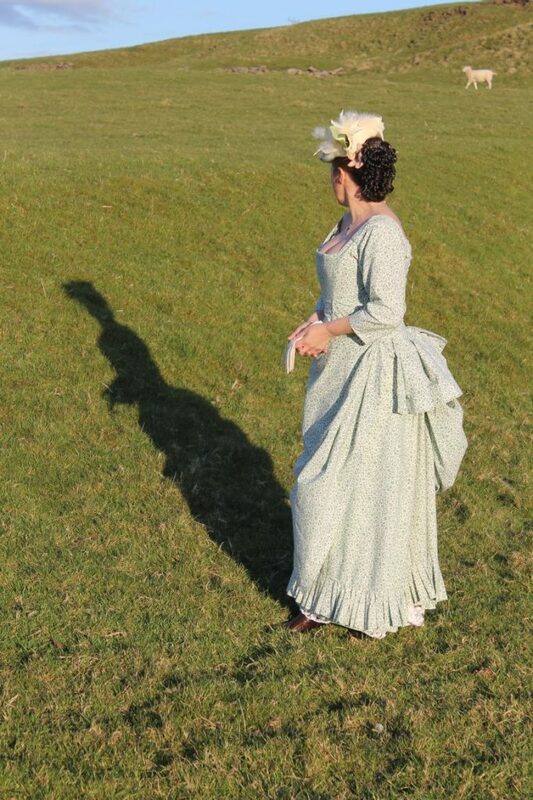 What is the Step by Step guide for making a Victorian dress? Step 1: Make a Victorian Skirt– get a 6 or 4 panel A-line skirt preferably with a brocade texture. Next, you need a petticoat. Wearing another skirt with volume underneath will give you enough proof. Add more ruffles for more volume. hoop skirt to be worn underneath for the volume. This will give the outer skirt a flared effect. If you reduce the lowest hoop circumference a few inches so that the overall effect is round on top and straight to the floor instead of flared out in A shape. Step 2: Make a Victorian Blouse- a white or ivory lace blouse fits well for the occasion. a lacy white victorian blouse. Traditional Victorian blouses were buttoned up the back with a high round collar or classic pointed collar in the later years. Also, long sleeves are preferred over short. Step 3: wear a black stocking or a trouser as Ladies back in those days were supposed to cover themselves completely. Jewelry- A brooch pin, can be Tried on your left heart, your blouse collar, your belt, or your hat. Necklace- A filigree Y shape necklace or pearls with a pendant look very Victorian. Add matching earrings if you wish. Shawl- A fur, knit or crochet shawl wrapped over your shoulders for winters and A Lighter lace wrap or chiffon shawl was perfect for summer events or indoor teas. Hat- Small straw plate-shaped hats can be curved and bent into cute perch hats, while large straw brim hats can be decorated with feathers and flowers for the Late Victorian and Edwardian look. Shoes– Lace up boots in black or brown are the most accurate.